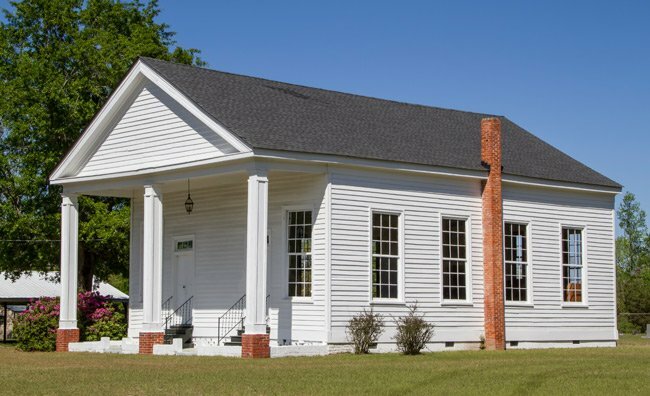 Brewington Presbyterian Church, located along the Black River in Manning, dates to 1811 when it was founded by five charter members. 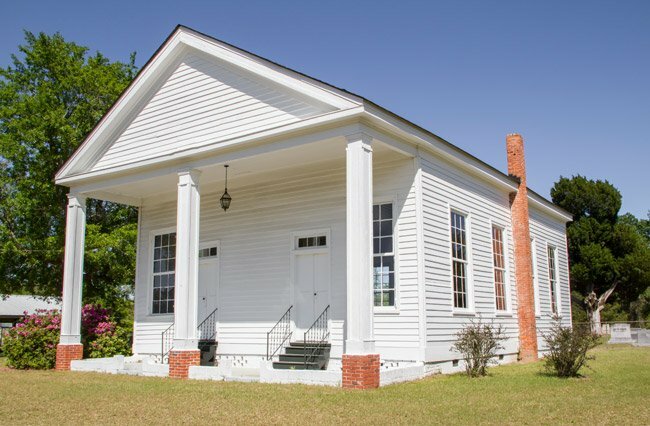 Land for a church had been donated by James Evans, and this Greek Revival edifice soon followed. 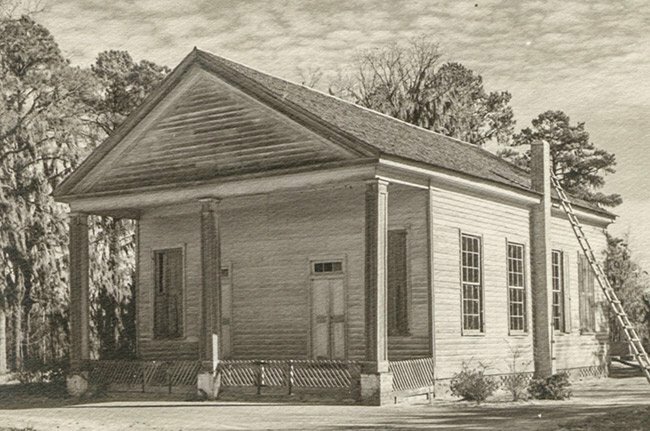 It is thought to be the oldest existing church in Clarendon County. The Reverend Donald Auld, a graduate of the College of Charleston and Columbia Theological Seminary, served as the church’s first pastor. He was succeeded in 1809 by the Reverend John Cousar. Though the sanctuary has undergone relatively few modifications, its “high pulpit” was replaced in 1905. The congregation, which included slaves, grew until the outbreak of the Civil War. Following the war, the number of parishioners declined steadily until regular services were discontinued in 1951. However, the rural sanctuary still hosts special services such as weddings and funerals as well as a Homecoming each October. During Homecoming, descendants of the church’s early members gather for a worship service followed by a picnic on the church grounds. A spring said to flow near the church is the source of a legend. The story claims that a chieftain’s daughter was killed during an eighteenth-century conflict between European settlers and Native Americans. In a state of grief, the girl’s father cursed the spring that flows near the church and those who drank from it. Whether or not this tale rings true can only be determined by those who have partaken from the spring.